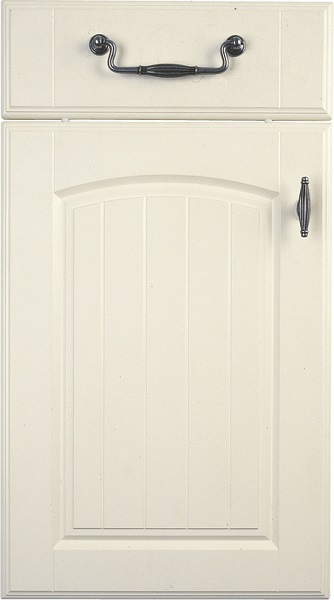 Cambridge couples appealing smooth touch alabaster foil with the traditional styling of a grooved panel door. Door Construction: MDF core with router design & vertical grooves, wrapped with a PVC foil. Matching reverse side. Glass Door: Available in 4mm toughened clear glass in a PVC wrapped astragal type arched frame.